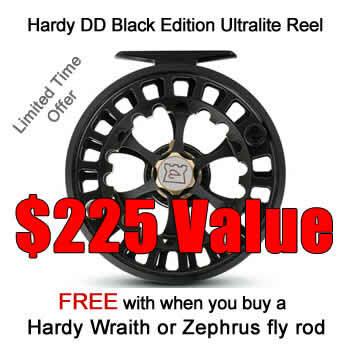 RIO Fly Lines, Leaders, Tippets, as well as wading boots and lots of other fly tying materials include Hareline products. We will continue to offer our customers more choices. We offer a great selection of Western trout flies, many of which are hand picked by Jim Slattery created by local talented fly tyers to Jim's strick standards. We offer custom tied flies and flies tied to order as well. 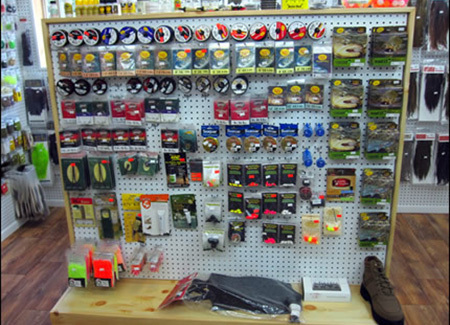 Jim Slattery 's West Yellowstone Fly Shop at Campfire Lodge has an extensive selection of Fly Tying Supplies, specializing in Whiting Hackle and Wet Fly Supplies. 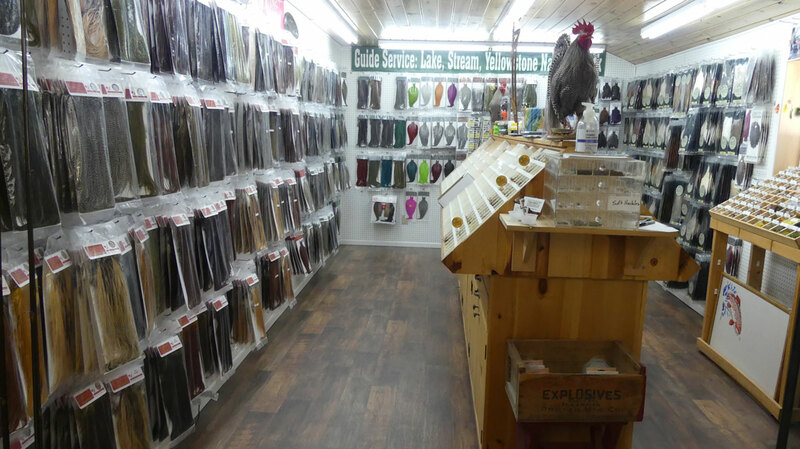 We offer one of the largest selections of Whiting Farms Hackle and Products in the world. Chances are if you are looking for that certain color or shade of hackle we'll have it or we can get it for you if it is available. 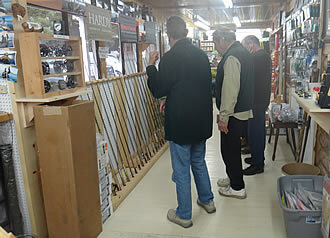 Also, we have a good supply of hard to get wet fly materials for tying traditional winged and wingless wet flies. We also stock a wide assortment of hooks, threads, silk thread, floss, fur, dubing, beads and many other fly tying materials.